TAOISEACH Enda Kenny will today meet German Chancellor Angela Merkel as part of his campaign to highlight Irish concerns over Brexit. Their meeting comes just over a week after British Prime Minister Theresa May triggered Article 50, the mechanism for leaving the EU. Speaking ahead of his visit to Berlin, Mr Kenny said the upcoming Brexit negotiations "will be so crucial for Ireland". He added: "Chancellor Merkel is a close friend and partner of Ireland in the EU, and my meeting with her provides an opportunity for us to have a detailed discussion on Brexit following Prime Minister May's letter last Wednesday and the circulation of draft EU negotiating guidelines. "The Government's engagement on Brexit has been crucial in ensuring that our concerns are properly understood by our partners all across the Union, and I am pleased that these have been reflected in the draft guidelines," he added. The Taoiseach begins his day in Frankfurt where he will meet Irish State agency-supported businesses based in Germany. He travels to Berlin this afternoon where his meeting with Ms Merkel will also cover the future of the EU and other international relations issues. The two leaders will exchange views on the Brexit negotiating process ahead and "how best to work together, as part of the EU team, on a range of issues", a statement from the Taoiseach's Department said. It said that Mr Kenny will highlight and explain Ireland's particular concerns arising from Brexit at all of his meetings in Germany. These were listed as concerns about Ireland's trade and economy; Northern Ireland and the Peace Process; the Common Travel Area; border and citizenship issues; and the future direction of the EU. 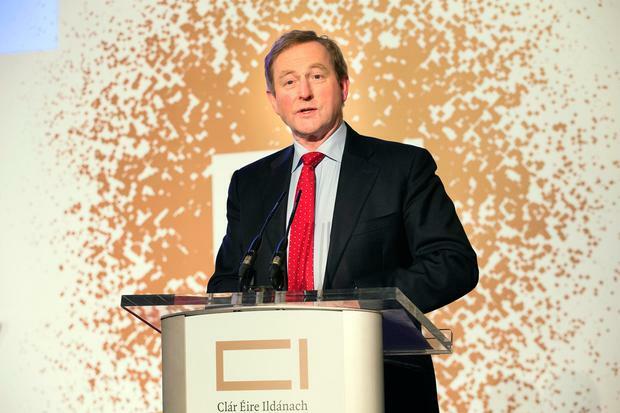 Mr Kenny will also emphasise Ireland's ongoing commitment to EU membership.